Aquawhite Cavity Fighting Toothpaste is a dentist's most trusted brand for complete oral care. It protects the teeth from cavity and makes it strong and healthy and it has a special whitening crystal that provides that extra whitening to your teeth. 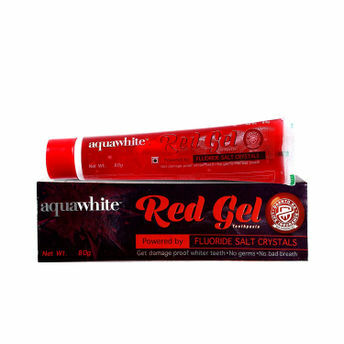 The red gel present in this toothpaste helps to deeply clean those dark stains from the surface of teeth while the mint provides the ultimate fresh feeling all day long. With its unique formula it ensures it takes care of the complete oral health of your family to provide them with a healthy and bright smile.